Reducing policy rates is not enough. The key is to ensure banks lend to credit-constrained borrowers, says Abheek Barua. If there is a single blot on the otherwise unblemished track record of Reserve Bank of India (RBI) Governor Raghuram Rajan, it would be his inability to ensure smooth “transmission” of RBI’s policy signals to actual lending rates in the economy. While the central bank has lowered the signal repo rate by one-and-a-half percentage points, banks have reduced lending rates by less. It is perhaps legitimate for the governor to claim that he is hardly to blame for this, that he has done his bit and the ball has always been in banks’ courts. 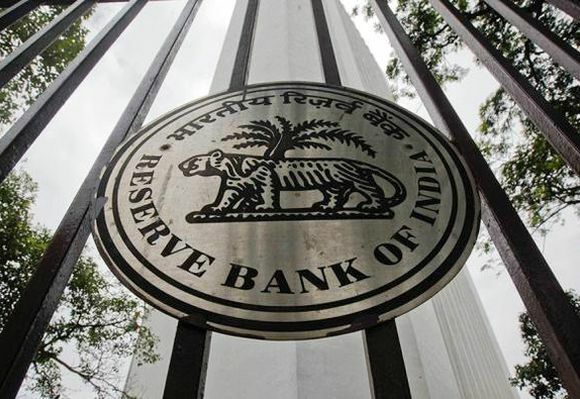 However, the effectiveness of monetary policy is ultimately about RBI’s actions translating into reduced EMI’s on mortgages and car loans, lower credit card rates, cheaper working capital and so on. Thus, transmission of RBI policy is a gauge of how well monetary policy as a whole has worked in stimulating the economy. If it hasn’t quite done the trick, the central bank must take some responsibility for it. Mr Rajan’s predicament was partly because of the monetary policy regime that he inherited. Around 2010 when D Subbarao was at the helm, RBI decided to change the monetary regime it operated in. Previously, the central bank allowed episodes in which banks were short of liquidity (thus, borrowing from RBI through its repo window) and those in which they were surplus (parking surplus funds with RBI at the reverse repo rate). The new regime was one in which they there would be a “permanent” or “structural” liquidity deficit of roughly one per cent of banks’ deposits, ensuring that banks would always be net borrowers at the central banks refinance window. This shift in regime, coupled with the fact that the actual liquidity deficit often exceeded the target, introduced an element of uncertainty about their fund position that kept bankers on edge. Thus, it wasn’t surprising that banks wanted to ensure that they had enough deposits to fall back on. Deposit rates remained sticky. Banks run on commercial principles and attempt to maximise the margin between lending and deposit rates. In the absence of significant deposit rate reductions, lending rates did not change much. Mr Rajan finally addressed this problem in the April 2016 monetary policy by reverting to the old regime, and committing to maintain a neutral liquidity regime. This meant plugging the “structural” deficit by infusing liquidity both through bond purchases (buying bonds from the market and offering cash in exchange) or by buying dollars in exchange for freshly minted rupees. Critics would claim that RBI could have done this much earlier to give the economy a helping hand instead of laying the blame on banks’ shoulders. A more charitable view is that a major systemic change of this sort takes time, especially with inflationary pressures (traditionally associated with high liquidity) looming in the background. Even if banks were to fall in line in this new regime, that might not be the end of RBI’s problems. A recent paper by Johannes Stroebel and three of his colleagues (‘Do Banks Pass Through Credit Expansions? The Marginal Profitability of Consumer Lending During the Great Recession’, August 2015, New York University Working Paper) points out that transmission is likely to boost the economy only if banks pass on the benefits of monetary or credit expansion by the central bank (like a cut in the policy rate) to credit-constrained borrowers, those with a high marginal propensity to borrow. These borrowers, freed from their credit constraints are likely to spend more. Increasing the supply of credit to those who already have ample funds does not give the economy a cyclical boost. Trying to lend to borrowers who already have enough cash is somewhat pointless - if they wanted to spend more, they would have already done so. Mr Stroebel and his colleagues examine the impact of a reduction in the cost of funds for 8.5 million credit card holders in the US between 2008 and 2014. They find that banks were least willing to increase credit limits for those who wanted to borrow the most, and most eager to lend to those who were not interested in borrowing at all. This apparently strange pattern has a simple explanation - the marginal propensity to borrow is inversely related to the risk-score (FICO scores) of borrowers. Credit constrained borrowers are the riskiest and while they provide a ready market for loans, high default rates actually erode banks’ profitability. Mr Stroebel and his colleagues claim that this disconnect between the marginal propensity to borrow and the marginal propensity to lend of banks is why the attempt to expand credit, or more generally monetary policy, has not been effective in fighting the recession in the US that followed the great financial crisis. Their work does not have lessons only for the American credit card market or the US economy. The findings have implications for all credit markets, both retail and corporate. I would find it particularly relevant for India. With default rates and stressed loans already high in the system, banks would be perfectly justified (as a rational business decision) not to lend to those firms that are strapped for credit, desperate to borrow but likely to find it difficult to service loans. Going by RBI data, there has been a noticeable drop in credit disbursed to small and medium enterprises over the past few months. While some of this could be explained by the lack of demand for funds, banks’ reluctance to lend has also been a factor. Monetary transmission in the sense of getting policy rate cuts to actually impact on the economy is not just about persuading banks to lower their benchmark lending rate in tandem with policy rates. They might just comply now that RBI is willing to keep liquidity neutral; whether they will actually lend to the ‘right’ borrowers in the current economic environment is another story. Mr Stroebel’s paper shows that India will not be alone in finding out that monetary policy is somewhat weak in propping up a sagging economy. Fiscal policy, anyone? The writer is chief economist, HDFC Bank. These views are his own.